WHEN IN ITALY… I SCREAM IN PISA!!! 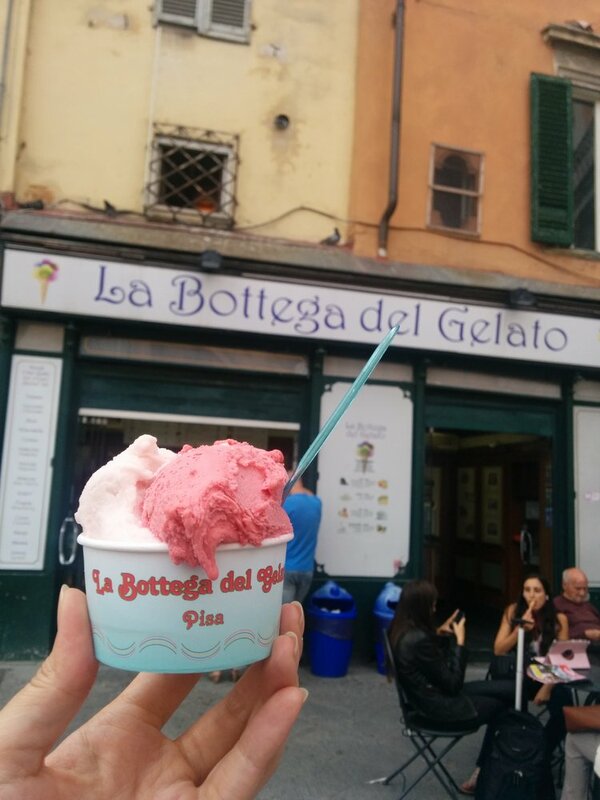 La Bottega del Gelato is arguably the best gelateria in Italy. They offer a lot of flavors and kinds of desserts that will make you think you’ve died and gone to heaven – like their cacao mousse and zuppe inglese (trifle). The mousse is DEFINITELY worth getting, as the texture of it was so soft like you’re eating whipped cream. It makes you wonder how they get the texture so perfect. The sour cherry was also intriguing, and the passion fruit and coconut is served dairy free with really creamy coconut and passionfruit that’s not too sweet. For those that want their gelato in a cone, you can’t go past these.The cones don’t taste like paper but rather actual waffles. I highly recommend stopping by here after you get off the bridge.. They have seating outside, but be careful and don’t sit at the tables labelled for the bar next door.